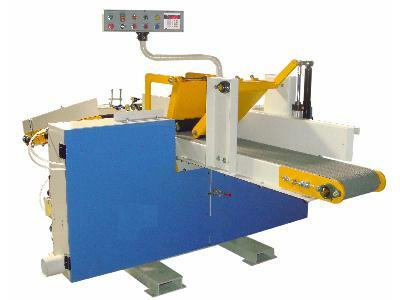 The Auto End Match Machine performs end tenoning, mortising, and shaping at both ends of the stick. PLC control combined with touch-sensing screen for maximum convenience of operation. 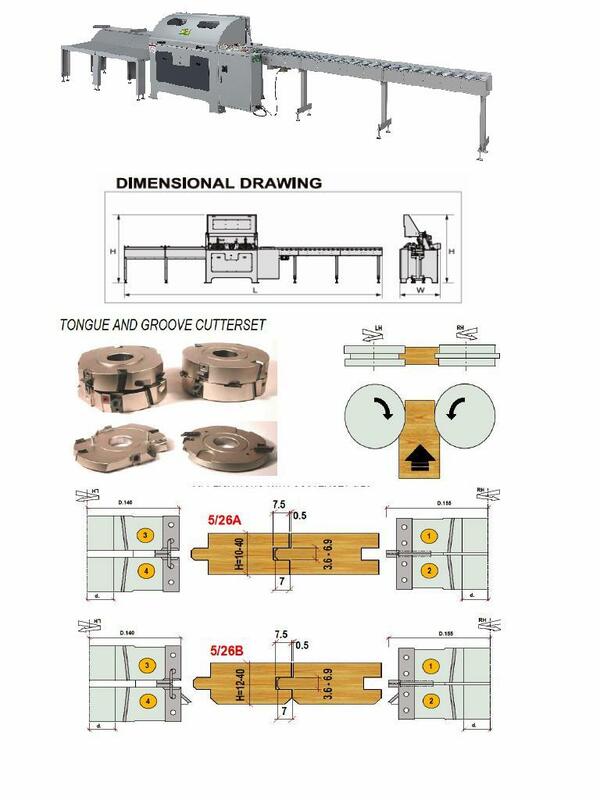 Each cutter head is driven by an independent powerful motor. 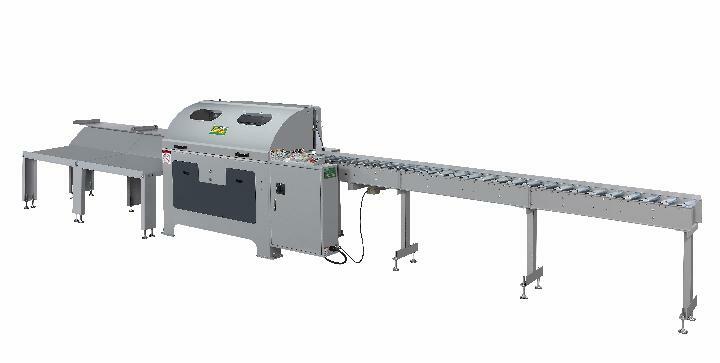 Auto conveyor for in feed and out feed processes. 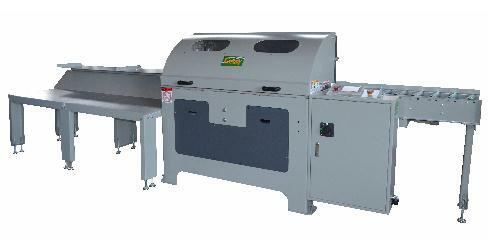 Cutter feed is controlled by a frequency inverter that permits variable speed changes to suit various cutting conditions. Pressure plates are actuated by air cylinders. Hard chrome-plated table features maximum wear resistance. Table rollers increase feed smoothness. Powered in feed roller conveyor is driven by a 1 HP motor. 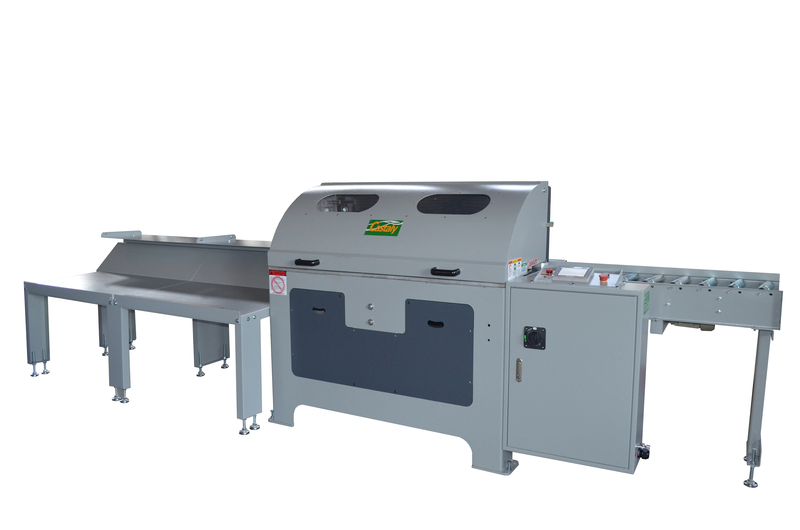 3400mm in feed roller conveyor and 2200mm out feed conveyor table are standard equipment. Air-operated clamp comes down holding sticks firmly in place. 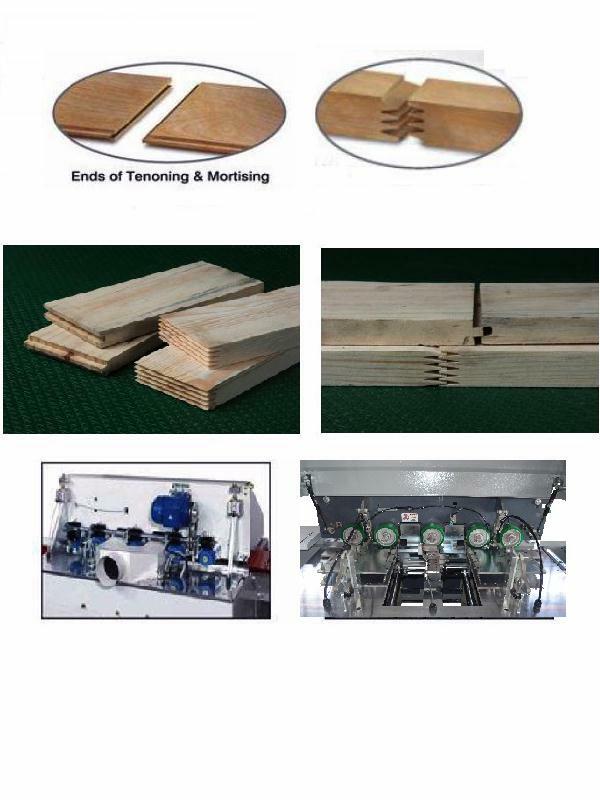 After workpiece is clamped, cutter head moves in and performs shaping operation. 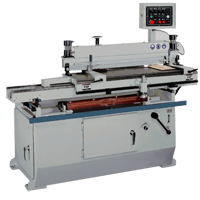 The shaper spindle is precision constructed for cutting finger shapes accurately and accommodates a maximum cutter diameter of up to 6”. The spindle height adjustment is displayed on a dial gauge. 51" x 90" x 62"